It is recommended to uninstall any 2014 versions first and install AVG Internet Security 2015 Beta on a clean PC. You shouldn't use the Beta version as your main security protection. 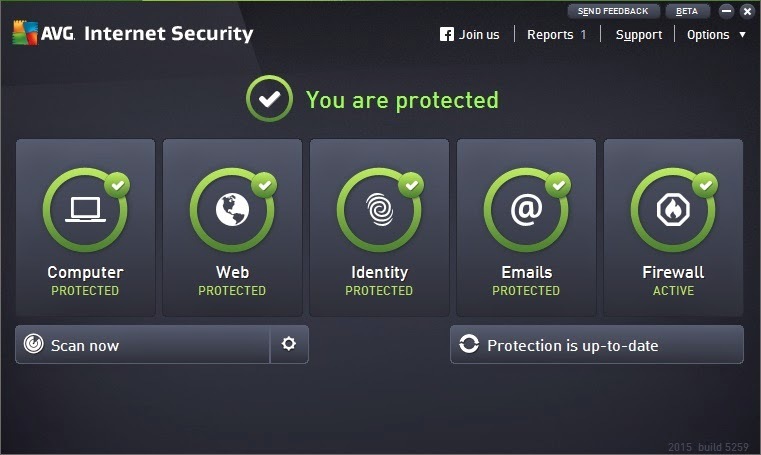 What’s New in AVG Internet Security 2015? Virus database update every 2 hours (In paid version). Copy of bitdefender 2015 user interface.